Kale is just the happiest baby and I always have so much fun with him every three months. He is constantly laughing and giggling. It is the cutest thing. 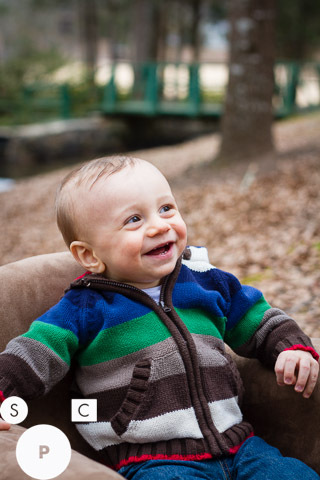 On this cold day we headed to Costley Mill which is where we went for mom and dad's maternity shoot. It was very cool to get photos of Kale there now that he is getting older! Next we headed to the International Horse Park where they have lovely open fields. Kale had fun getting a ride in his wagon. Then we went to the Big Haynes Creek Nature Center. There are beautiful wetlands there with a nice bridge. I am sure it is gorgeous there in spring and summer but there was also something so beautiful about the starkness of a winter's day. We had such a fun time andI love all the shots I got of Kale and his parents. I am already looking forward to Kale's one year shoot!